My research interest focuses on the cosmic history in the astronomical aspect, in especially, at the early stage. There is a historic milestone which mark a turning point in the early universe, so-called first star. I would like to try to uncover mystery-shrouded properties of such first-generation stars by performing numerical simulations. Because the matter configuration in the early universe is determined by the modern cosmology, we can perform ab initio simulation of first star formation (movie on YouTube). 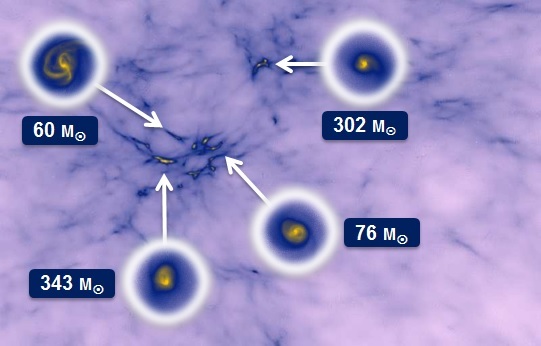 A number of cosmological simulations show that the first star forms inside the dark matter dominated minihalo after one hundred million year of the Big-Bang. How massive are first stars? To determine the stellar mass, we have to calculate the evolution of accreting protostar until the mass accretion ends. 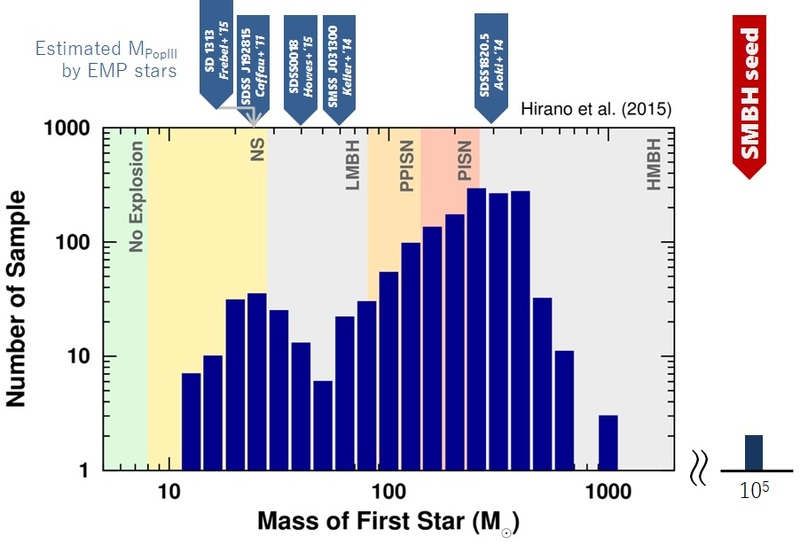 We determine the final mass of first star by performing coupled simulation. Calculation results show that calculated masses of first stars greatly depend on certain properties of primordial star-forming cloud. We make a non-biased statistical sample of primordial star-formating clouds to construct the mass distribution of first stars. Results suggest a presence of average properties of star-forming clouds which results in a certain fiducial mass of first stars. We also find that such average mass decreases with decreasing redshift. © SHINGO HIRANO. Design by TEMPLATED.